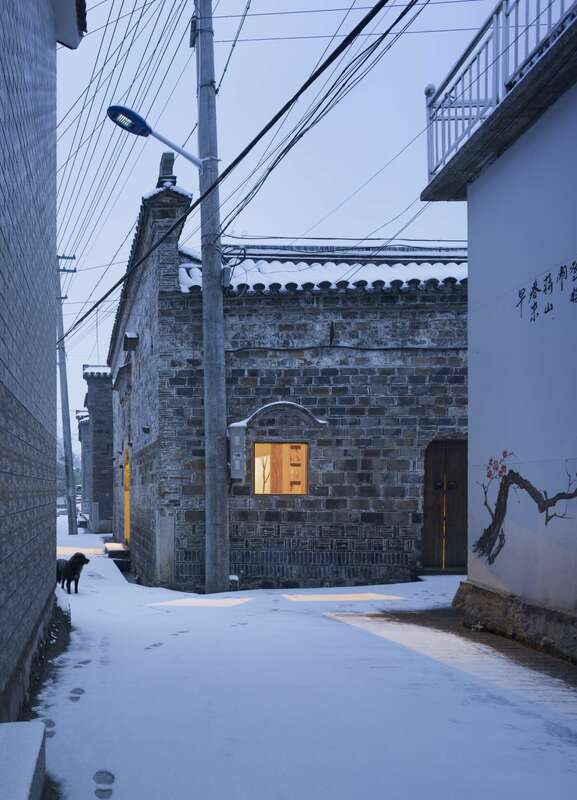 The exponential development of China’s urban centres over the last decades has posed immense challenges to urban planners and architects, but one important aspect that has nevertheless been overlooked is the resulting decline of rural areas. 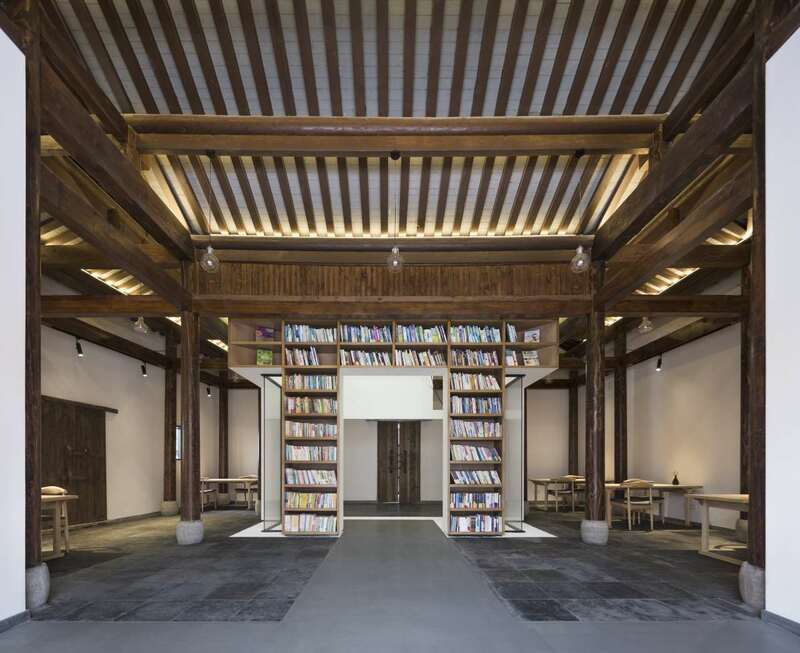 One such locality is Jiangshan, a fishing village on the shores of Gucheng Lake, south of the city of Nanjing, which has recently commissioned a revitalization plan that aims to both renovate derelict buildings that have been abandoned and modernize the village’s public amenities. 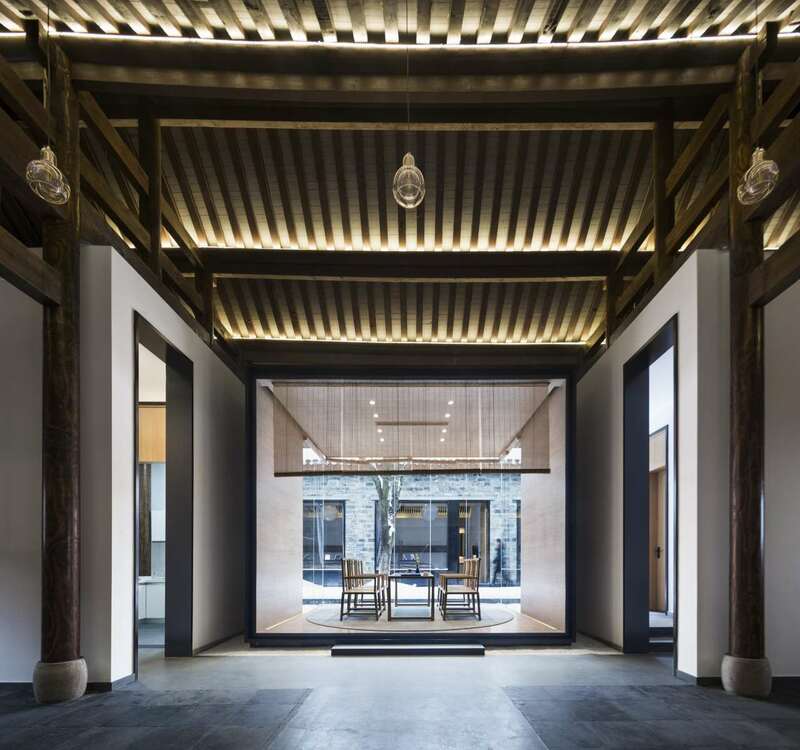 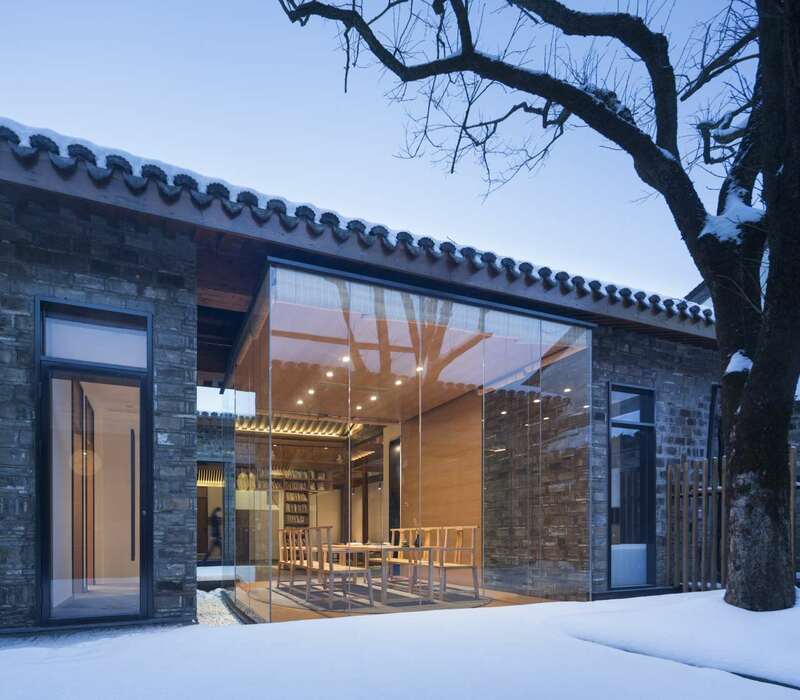 This year saw the completion of the first phase of its ambitious plan with the transformation of two adjoining old houses into a library that also functions as a tea house and a three-bedroom guest residence by Chinese practice Mix Architecture who also designed two new public toilet blocks. 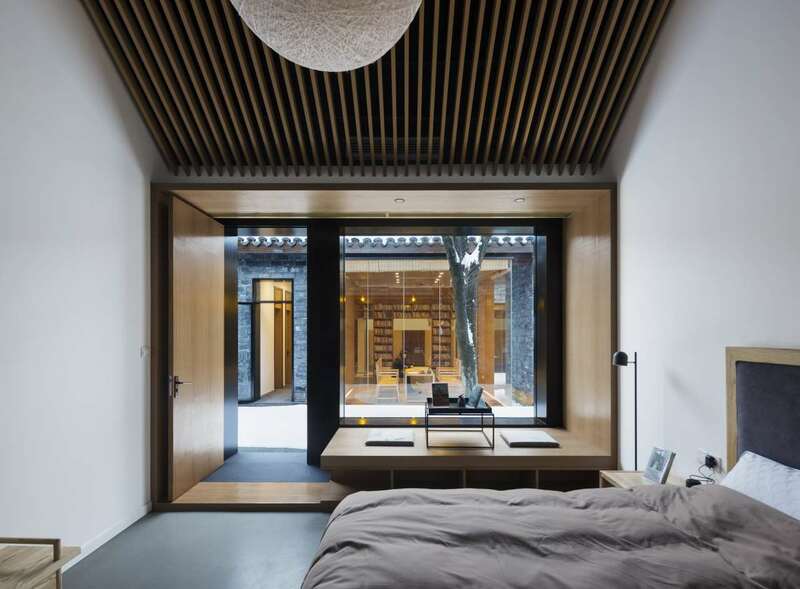 The architects’ approach centred on preserving the two stone houses at their disposal to the fullest extent but at the same time they set out to create contemporary interior spaces combining modern comforts and welcoming elegance. 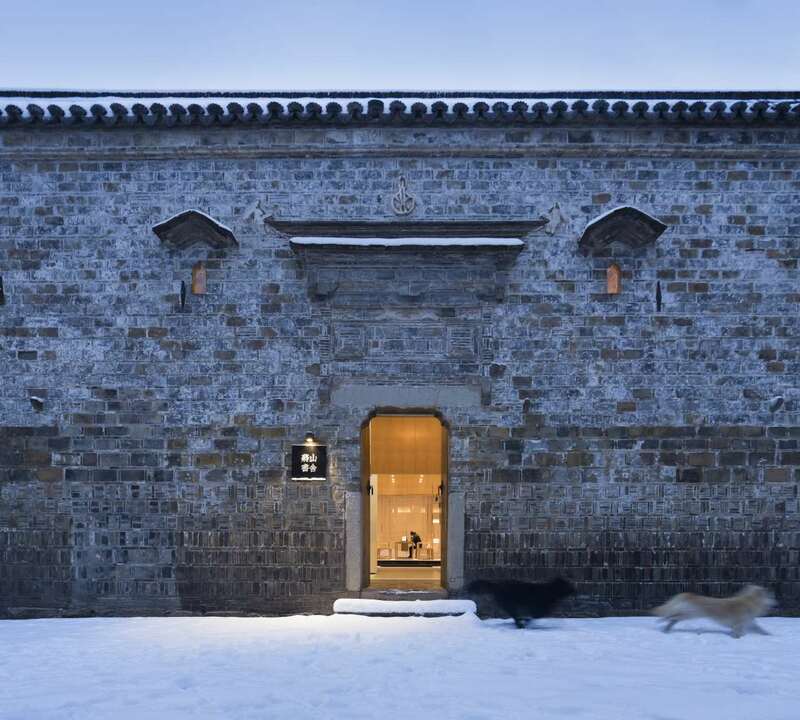 To this effect, masonry walls and timber roofs have been painstakingly refurbished and the narrow courtyard that separates the two buildings thoughtfully preserved while the interiors have been prudently reconfigured. 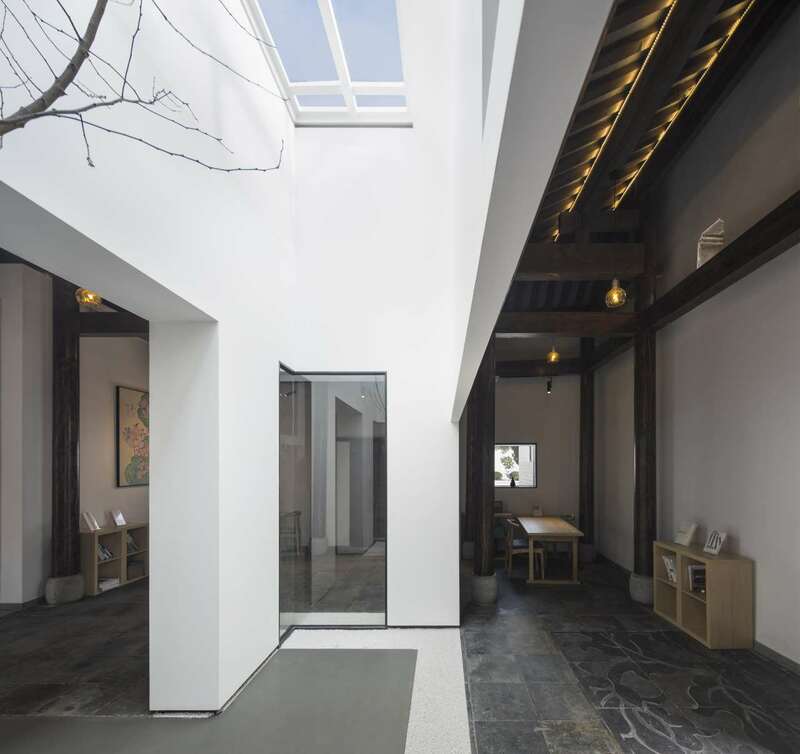 As the original houses had very few windows, the architects have made two bold interventions in order to improve daylight penetration without modifying the exterior walls. 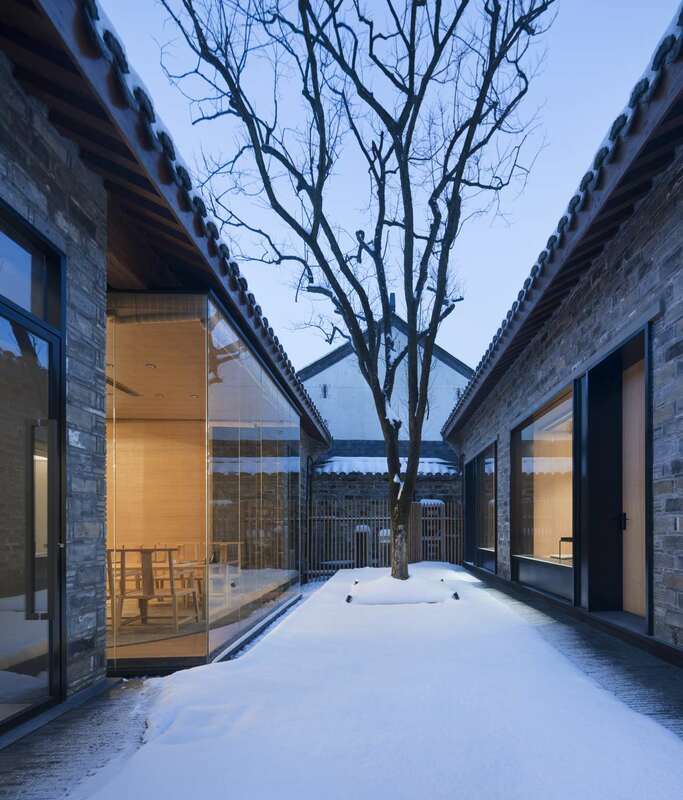 The introduction of a light-well in the middle of the larger building floods the library with natural light, while the insertion of a glass tea pavilion that protrudes into the courtyard ushers more daylight into the interiors and visually connects the library with the courtyard and the guest house beyond. 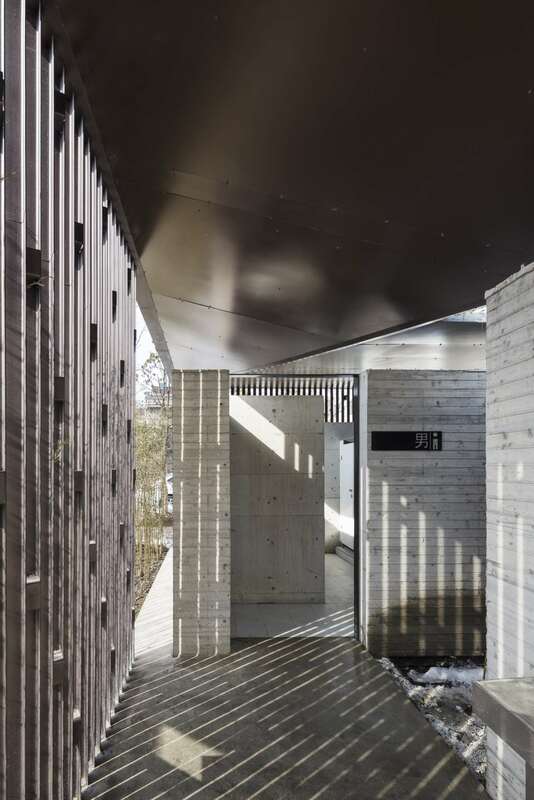 The same approach has also been applied to the guest house where the architects only tampered with the courtyard-facing façade thereby keeping the house’s street-facing exterior intact. 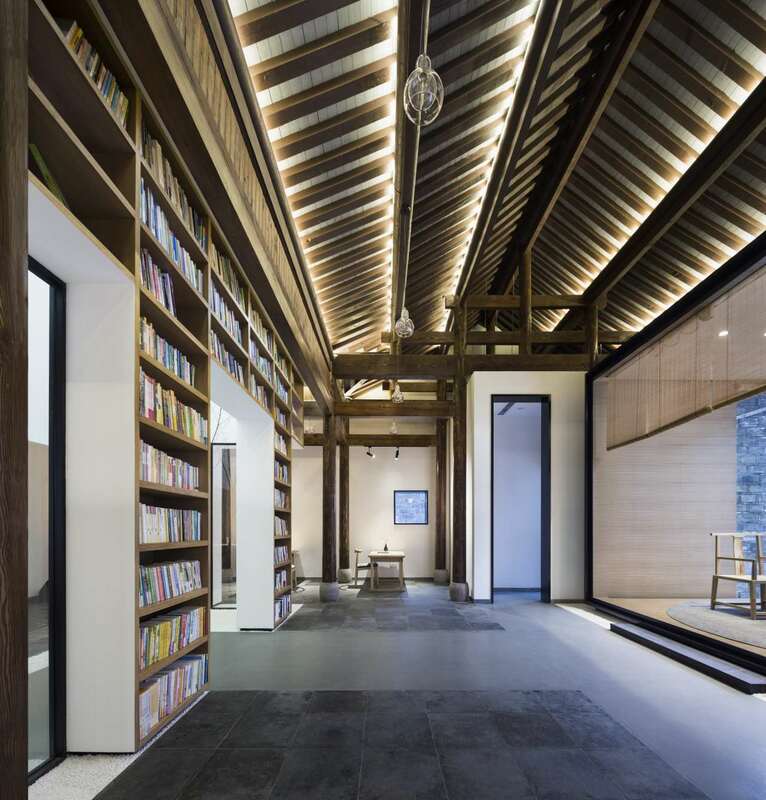 The interior design seamlessly combines the rustic elements of the age-old houses with a contemporary aesthetic of minimalist sensibility. 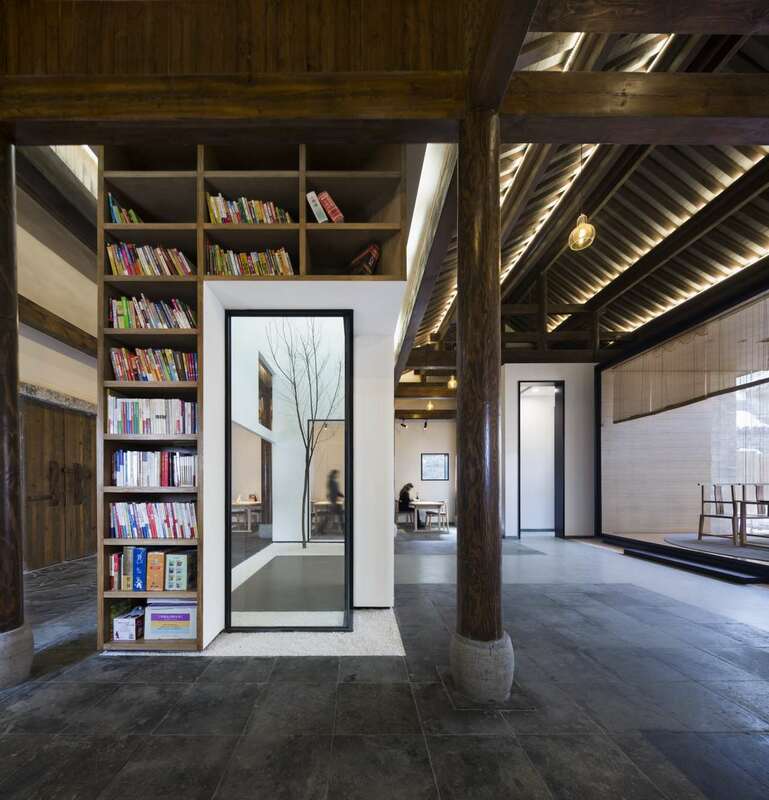 Tall floor-to-ceiling wooden bookcases wrap around the central light-well, whose footprint is hemmed by white gravel, concealed lighting softly illuminates the timber-framed roof, and simple wooden furniture discretely populate the open-plan area, while the glass-front tea pavilion, also delineated by white gravel, is internally lined with smooth timber panelling. 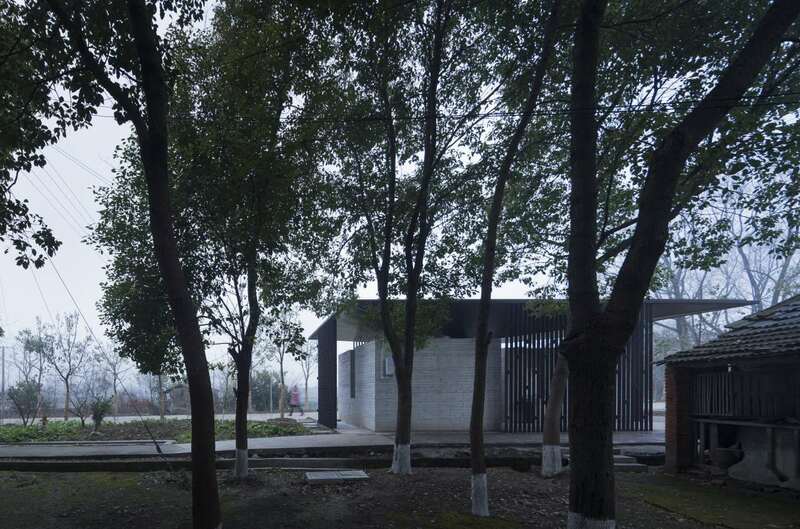 Situated at the edge of the village, the two public toilet blocks have been inspired by the region’s traditional architecture albeit designed in a thoroughly modern fashion. 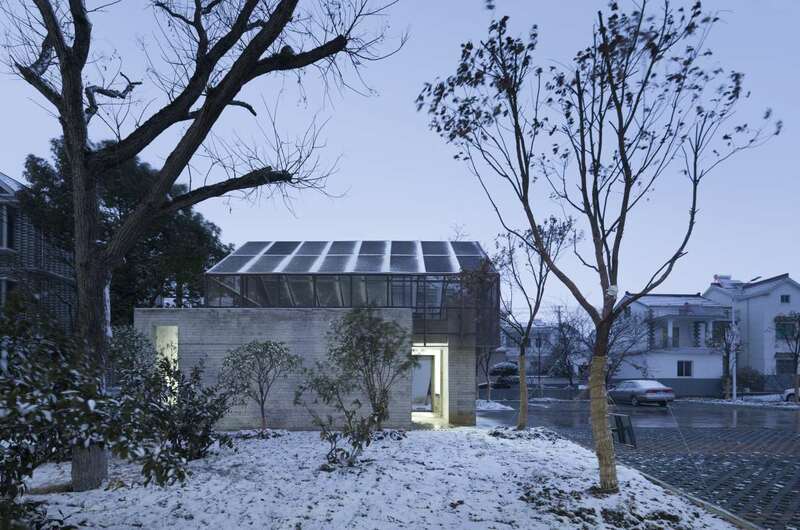 One of them features a gabled roof created out of metal mesh sitting slightly disjointed on top of a concrete block, a reinterpretation of a typical village house, while the other has been designed as two interlocking volumes unified by a slender mono-pitch roof supported by slatted screens that bring to mind traditional lattice-work shutters. 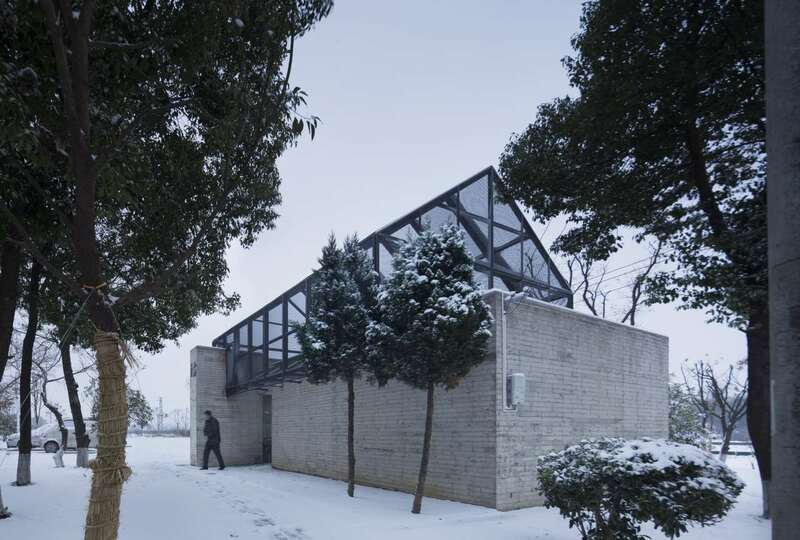 Small-scale as they may be, it is projects like these that can have a lasting impact on the lives of locals and visitors alike. 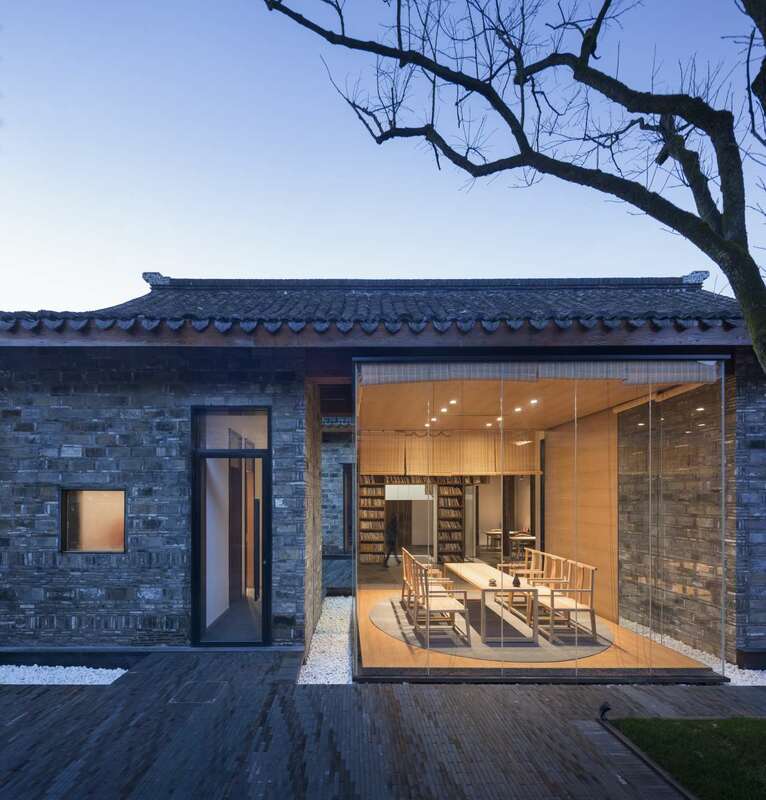 As the architects point out themselves, “rural revival begins in the practice of design”.